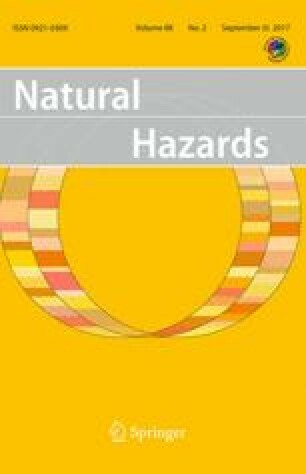 This research appraises how residential built environment growth influences coastal exposure and how this component of societal vulnerability contributes to tropical cyclone impact and disaster potential. Historical housing unit data and future demographic projections from a high-resolution, spatial allocation model illustrate that the area within 50 km of the US Atlantic and Gulf Coastlines has the greatest housing unit density of any physiographic region in the USA, with residential development in this region outpacing non-coastal areas. Tropical cyclone exposure for six at-risk metropolitan statistical areas (MSAs) along the US Atlantic and Gulf Coasts are assessed. All six MSAs evaluated are distinct in their development character, yet all experienced significant growth from 1940 through the contemporary period; projections from the model under various socioeconomic pathways reveal that this growth is anticipated to continue during the twenty-first century. Using a worst-case scenario framework, the historical and future residential data for the six MSAs are intersected with synthetic hurricane wind swaths generated from contemporary landfalling events. The New York City MSA contains the greatest residential built environment exposure, but Miami is the most rapidly changing MSA and has the greatest potential for hurricane disaster occurrence based on the juxtaposition of climatological risk and exposure. A disaster potential metric illustrates that all six MSAs will experience significant increases in disaster probability during the twenty-first century. This analysis facilitates a detailed spatiotemporal assessment of US coastal region vulnerability, providing decision makers with information that may be used to evaluate the potential for tropical cyclone disasters, mitigate tropical cyclone hazard impacts, and build community resilience for these and other hazards in the face of environmental and societal change.